Oh dig THIS, baby! It’s Doo Wop Thursday again and tonight I’ll have a special guest on the Night Prowl Show. I’m not gonna tell ya who it is. You’ll have listen to find out. But I WILL tell you that he sang with one of the greatest doo wop groups of all time and I play their music EVERY NIGHT on the show. 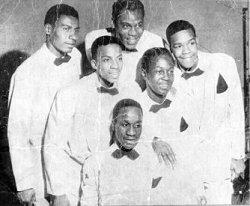 Don’t miss Doo Wop Thursday!